Again with the signs, the signs are always true. I believe I have an internal sensor or a really sensitive sixth sense that I’ve tried to ignore just for the sake of not being paranoid. I am sorry, I am not paranoid, I’m only allergic to mischief. Always believe the signs, they are there for a reason. I realised that no matter how much I love or admire someone, I really do not enjoy their company if they take the moral high ground and decide they can tell me what to do or dictate how I should behave. The next time this happens, there is one and only one solution and they are not going to like it one bit. I now can detect at a distance when a person is about to use me. A gift honed by years of open-eyed innocence. No one is every using me again and those who did succeed before, shame on you. Period. Never confront people, despite the advice of Dr. Phill and all his colleagues, their methods and advice do not apply to our part of the world. Confrontation is the worst thing ever, brush whatever it is under the rug and move on. Imitation is the highest form of flattery, that statement is true. But when imitation is meant as the highest form of sweeping you aside to take your place, then something must be done about it and I’ve yet to decide what. Sharing details of your life is considered “whining” and “gossiping”. No one really cares, they have enough trouble as it is so you better whine and gossip to your own reflection in the mirror which is what I’m going to do from now on. I lost two dear friends I cherished this year, one because of life and the other because our time was up. I miss them both terribly but I’m glad they are alive and well and most importantly happy. I, however, am handling the loss pretty well and instead of becoming a basket case I simply am being strong and moving on. How grown up of me, never thought that would happen as I’m usually a pillow-soaker. The trick is not to dwell, period. No dwelling, no pain. I didn’t laugh half as much as I did in 2012 but I sure have cried half as much and that must count for something, no? I’m glad everyone I love is alive and in good health and that I’m alive and in good health. That is something worth laughing about this night and therefore I will. Thanks be to god. This year I’ve seen with my own eyes, and felt with my own soul, that prayers do get answered and when they do, and I hope all yours do, you will find such a grateful sense of serenity unparalleled by any other feeling. Some goosebumps might come a long the way as well so keep praying. Forgiveness is something I thought I wasn’t capable of. But then again you can let go by choice and not forget, a less moral version of absolute forgiveness that I am able to exercise and I wish that one day I’ll be such a good person that I will forgive once and for all, no questions asked. A version of me that I thought I lost forever, one that lives in a little obsessive fantasy world parallel to the real one, is emerging again and I am over the moon with joy with that. I’ve missed me, if that makes any sense. There is something that I really want to try, really want to do, but I’m afraid. I’m afraid that I don’t have what it takes to make me succeed, get me to leave a mark on the world. Then I was walking around in the rain and I had an epiphany: I really want to do it. I might very well fail, or not accomplish much, but I would have tried and I won’t keep wondering whether or not it would become something. I should unleash my potential and see where it takes me. Last but not least, I am who I am and I don’t want to change that. I will always be a bit mad, eccentric, loud, fierce, short-tempered, insecure, and passionate but that’s me. There might not be a lot of people who accept me for who I am, quite a few really, but I’m quite OK with that because I accept myself and that is what matters. And there you are, my 13 lessons of 2013. What about you guys? Happy new 2014 year everyone! A lovely set of lessons from experiences. I love reading your blog, you write so well. I am an Indian, who became a vegetarian two years ago, leaving behind a heavy meat eating lifestyle. Hence I especially enjoy your blog for its restaurant reviews, so I can decide what I can eat or where to eat based on your recommendations. Glad to know there are vegetarians in this part of the world. Here’s wishing you a wonderful 2014 and may all your dreams come true. Wish you a Happy new year. I HATED 2013, I took my beatings health wise, work wise, relationship wise, and am so so HAPPY IT IS OVER. I hated it so bad, that I made a point of staying past midnight, and staying awake until 3 a.m. in the morning of 2014. I feel good about 2014, and am looking forward to it. No.6, is part of my new year resolution. I hope I can stick with it. I will stop right here. 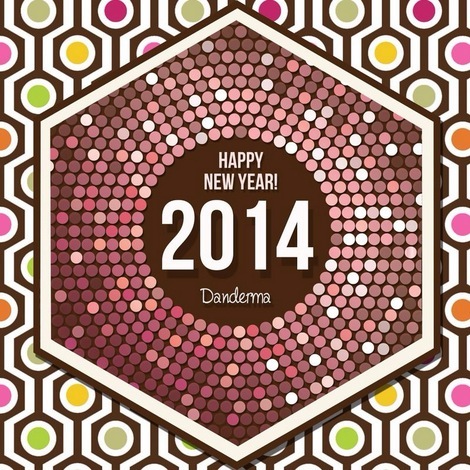 Wish you all the best for 2014. I’m really sorry to hear that but boy was 2013 a bad year! I’m not usually superstitious but it might be because of the number 13 after all! I had a good feeling about 2014 but that still remains to be seen, it’s quite uneventful still. Number 6 is one of my favourite learned lessons in 2013 to be frank! Wishing you a very happy and a much better 2014! 2014? Uneventful? No way! The weather has been going historically crazy in North America, and not to mention the crazy drama in my nation country, Lebanon. If you’re talking about the signs that I see as well, then yes- they’re showing up like crazy. But nevermind- it’s only been a little over a week in and the energy remains hopeful. Inshallah you have a wonderful and blessed, relaxed, 2014. I’m still looking for your book on Kindle!! I absolutely loved your post! 2013 was a very rough year for me, but reading your lessons, and thinking about my year helped me put some stuff in prespective, and made me feel better about the rollercoaster of a year I’ve had!! I’m sorry you had a rough 2013 year, hopefully this one will turn out much better for you! i share most of the points with you .. good or bad il7amdillah 3ala kilshay!